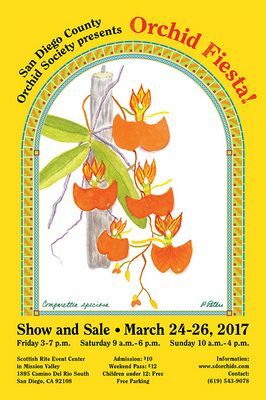 Our International Spring Show dates are March 24th, 25th & 26th, 2017. Doors will open 3 pm Friday, 9 am Saturday and 10:00AM on Sunday. Here's the google map showing the Show location and convenient free parking: Scottish Rite Center. Admission is $10.00 daily or $12.00 for a weekend pass. We urge members and non-members to submit Orchids for judging at our shows. 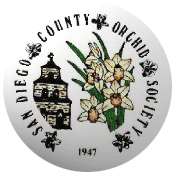 At the International Spring Show plants will be judged by the following: the American Orchid Society(AOS), the Cymbidium Society of America(CSA) and the San Diego County Orchid Society. 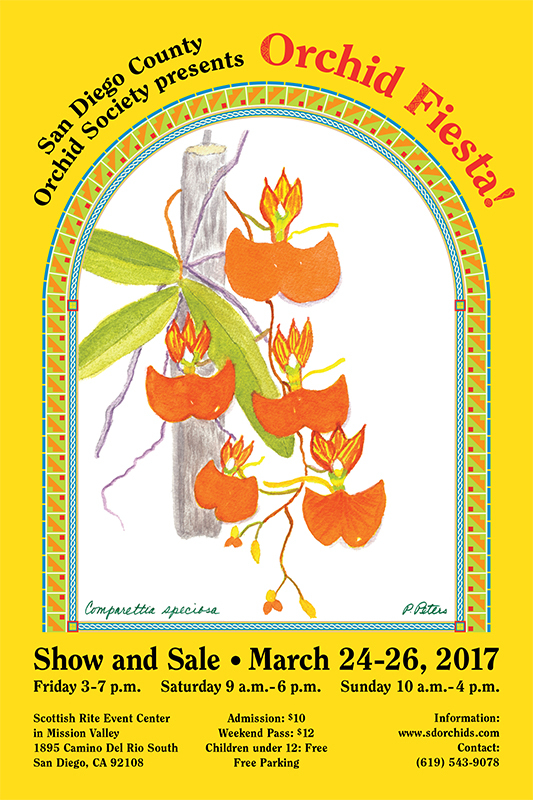 To determine the section & class your plant belongs in, refer to the 2017 Show Schedule Page. Anyone interested in participating in table top displays, please fill out a sign-up sheet. You can send an email to Co-Chair Jack Schaefer: webmaster@sdorchids.com or Co-Chair Debby Halliday: debhallid@gmail.com to a reserve a display booth but be sure to bring in the printed form! To print the coupon, click on it. It will open in a new browser page. Or just show it on your Smart Phone or Tablet at the door.